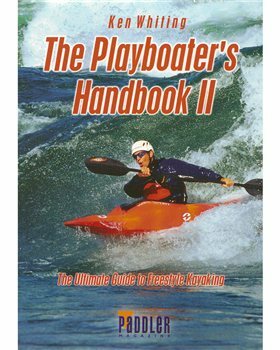 Follows up on the best-selling success of the original handbook, with a complete, up-to-date look at freestyle kayaking technique in a large, full color format. Written by World Champion kayaker, Ken Whiting, this 2nd edition (2002) also features segments by a variety of other elite freestyle paddlers, including Eric Jackson, Corran Addison, Tyler Curtis, and Kevin Varette. The book covers the full scope of freestyle kayaking technique, from the fundamental skill sets and catching your first wave,to the latest, most advanced moves like the aerial loop or Tricky Whu. Also covers other important topics such as safety issues, choosing the right equipment, and a checklist of the top playboating destinations in the world. After you come to grips with the termanoligy its a great book! However i would strongly sugest that you are comfertable with roling before buying it. There is an advanced role in it but it wont help you if your allready upsidedown. does this product give instructions and pictures/illustrations to carry out moves?